The first day of January has a special appeal to SOTA activators as it offers a chance to gain points for two years for the one activation. To optimise the points available, a 10 point summit was preferred. 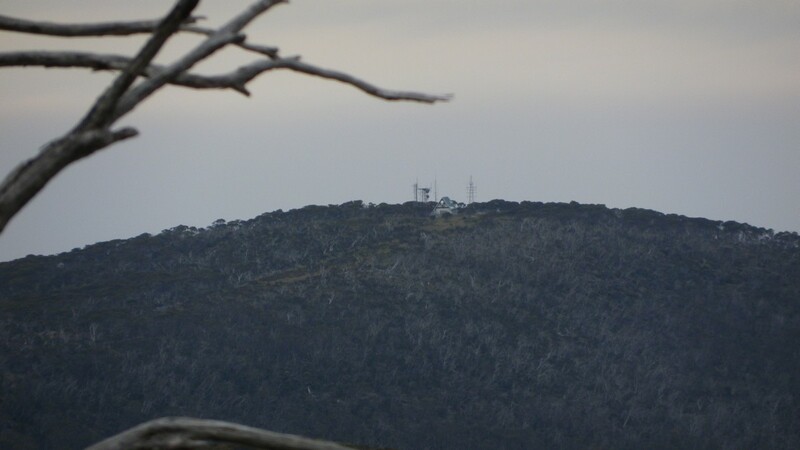 For the summits within VK1, the most accessible 10 point option is Mt Gingera, south of Mt Ginini by a few km and an access track along the side of the range. 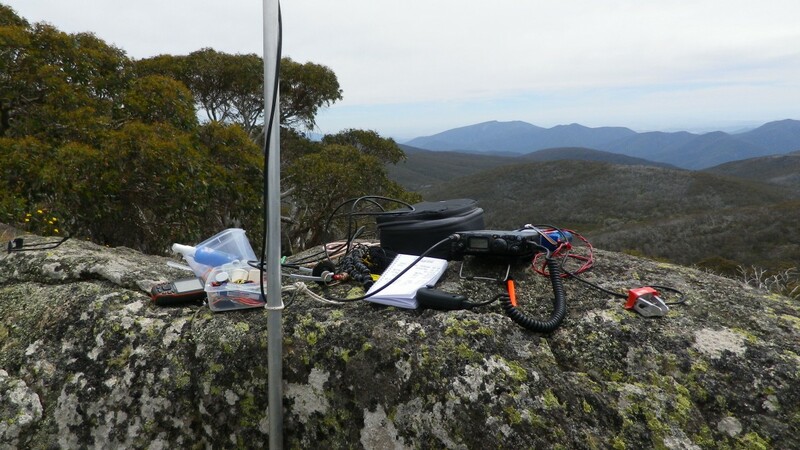 Previous activations of Mt Gingera by Ian VK1DI and Andrew VK1NAM had indicated there was a 6km walk along the forestry road, followed by a 1km climb to the summit. 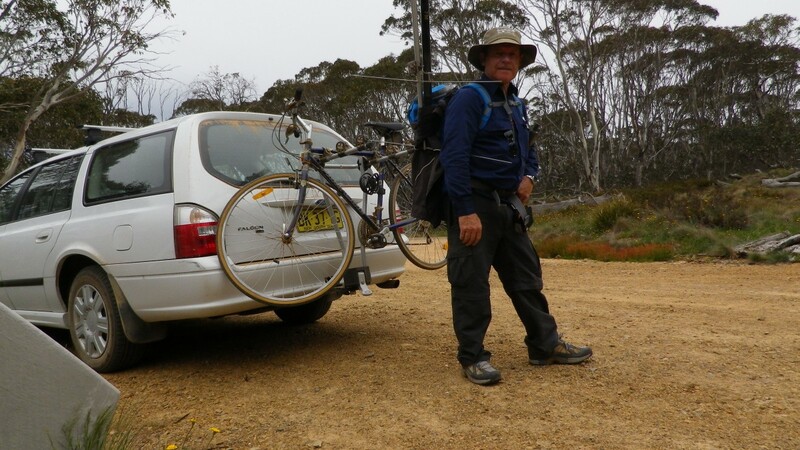 I decided to try using my pushbike for the road section, leaving the bike at the start of the climb. 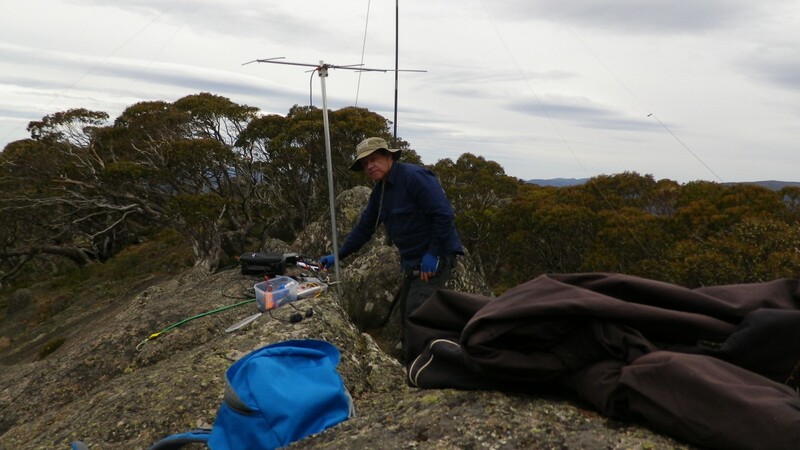 As the summit is a very good VHF location I wanted to try 2m SSB contacts to the NSW south coast, Sydney area, operators in the Victorian alps, as well as the Canberra area. 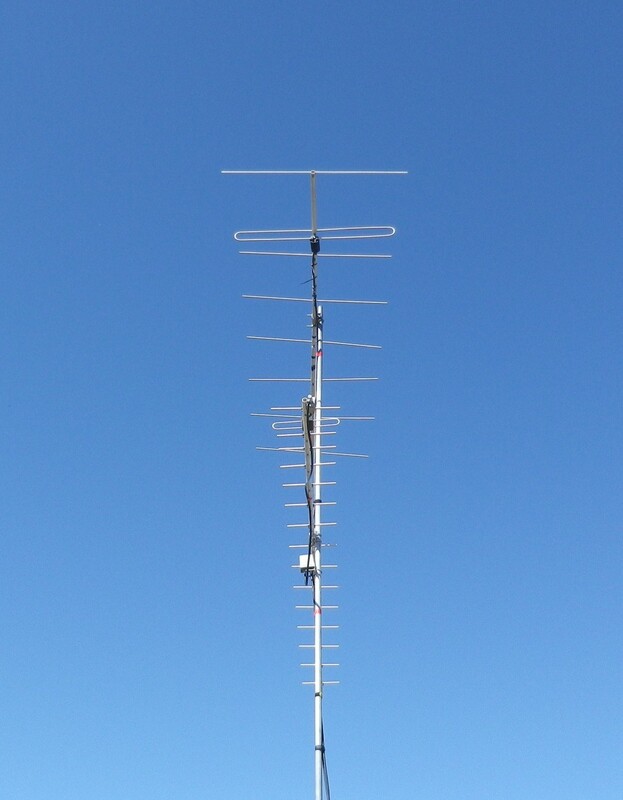 To do that I decided to take a 3 element beam for 2m. This was a beam I had built for direction finding competitions in the 1980s and had since used occasionally for portable operations. All aluminium construction and unfortunately, not readily able to be dismanted. I planned to attach the beam to my backpack while riding along the road, then to carry it by hand while climbing the hill. That approach worked ok after some adjustments needed while walking the bike up some of the steeper sections of the road. Hills that you don’t notice in a car can quickly add up to a lot of work on a bike. Despite walking several sections, I still averaged 9km/h over the 6km which is double my walking speed so using the bike saved at least 30 mins, possibly more. Having left the bike near the road at the foot of the path leading up to Gingera, I carried the beam in one hand up to the top, diverting around trees and bushes as required. 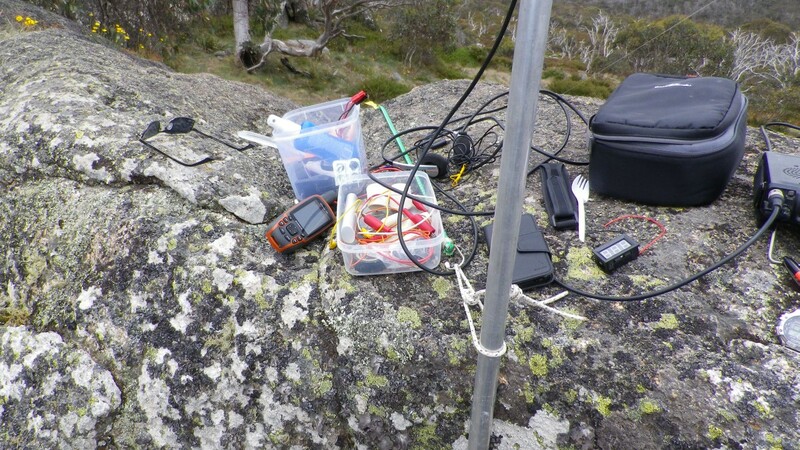 At the top I found a suitable location for the antennas and equipment on some huge rocks and got onto 2m ssb quickly, as I needed to qualify the summit with at least 4 contacts before 0000 UTC. 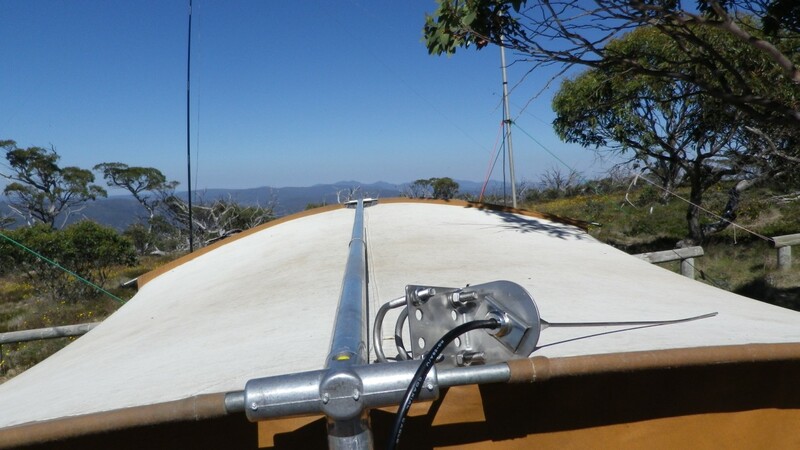 Having done that with contacts to VK1NAM at Tuggeranong Hill, VK2DO at Batemans Bay, VK1FJAW and VK1KW in north Canberra, VK3EJ in Cobram, I was able to take a pause and set up the HF antenna. About 30 contacts in the log for the activation. 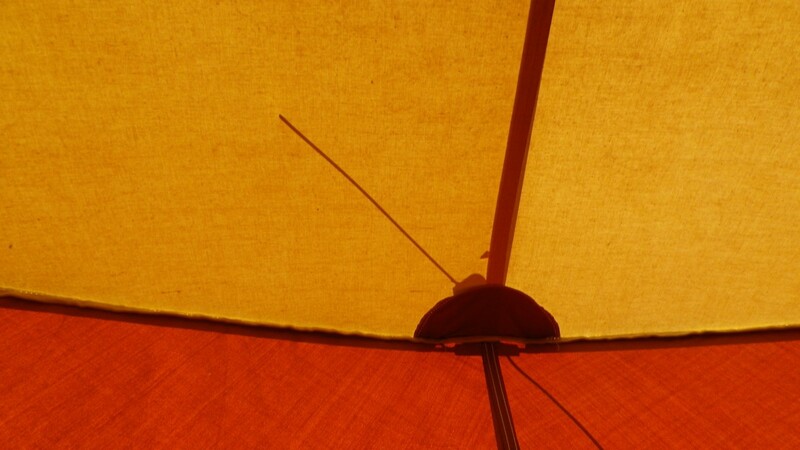 After racking the bike, this pic showed how I carried the squid pole, Al mast for 2m beam and the beam itself.